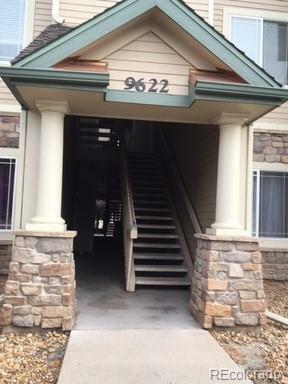 Nice ground level 2 bedroom 2 bathroom condo in Deer Creek 1 Condos. Near shopping, transportation and C470. Nice amenities including swimming pool, clubhouse and fitness room. This condo includes a detached garage and there is additional parking lot. Offered by Mcguire Property Management.